WE had our house listed with another realtor during peak selling season. Though it was priced comparatively we were getting very limited traffic.\r\nAfter almost 3 months we unlisted. \r\nLori ws recommended to us and after interviewing her we decided to resist. \r\nWow! What a difference. We had more traffic the first week than the last two months prior. Her marketing and never quit attitude got our house sold during the worst of times to sell. \r\nLori was not a salesperson to us. We think of her as a friend more than a realtor. She didn't sell us but worked with us to find our bet solution. \r\nI would recommend her to any one I know. And already have. Lori has been there for us every step of the way with words of encouragement and support. We could not thank her enough through this whole process she has and will always be a great realtor and friend. Lori, is an outstanding Agent. She knew all of the neighbor hoods, school districts, and POC's need to make the home buying process easy. Working with Lori was a great experience while selling our house. She is on top of her game and made the whole process quite easy. Always easy to reach and providing excellent feedback. No doubt on reaching out to her again for our next real estate needs! Lori did a phenomenal job selling our house! She worked extremely hard and was knowledgeable through the whole process. Lori was also very responsive to all questions and concerns through what could have been a stressful event. We can't thank Lori enough and highly recommend her as your realtor! Very pleased with the commitment and quickness of the sell of my house with Lori Rogers help. Would definitely recommend and use her again in the future! Lori was amazing! We originally planned to rent a house and Lori was the only realtor that was willing to help us find a rental. However, after looking at many houses, Lori recognized what we wanted in a house and what our dream home looked like. She found us the perfect house that was so perfect for us that we ended up buying it :) I would recommend Lori to anyone looking for a new home. She made the process very easy throughout and a lot less scary for first time home buyers like ourselves.\r\n\r\nAlong the way she also paid attention to little personal things... when we arrived at our new home after closing on it, we were greeted by a wonderful welcome home gift for our little boy; the children that lived in the home before us had a play kitchen set that he loved playing with when we viewed the house for the first time and I had mentioned how much he enjoyed playing with the kitchen set at his daycare. Lori remembered and got him his own play kitchen set. What a wonderful, personal touch :)\r\n\r\nThank you Lori for helping us find our dream home! We knew Lori was the right agent for us the first time we met her. She is laid back, informative and always available to answer questions. Lori provided support throughout our entire home selling and buying process. She worked with our busy schedule with our pets and 3 children to get our home sold fast and help us find the home of our dreams. 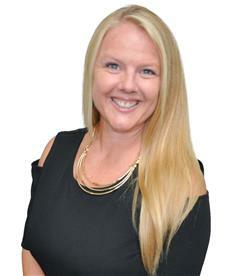 Lori worked closely with other agents, home inspectors and lenders to ensure that everything went smoothly. She exceeded our expectations and we are so grateful for all of her hard work! I will refer all my family and friends to Lori! We would like to share that Lori was wonderful and would give her 5 stars !! !